Several patients every year choose to have nose reshaping surgery either for cosmetic reasons or to improve functionality of the nose overall. Before diving into the idea of having rhinoplasty Los Angeles doctors will go over various aspects of the procedure to deem that you are a good candidate and ready to undergo the surgery. Most consultations will begin with an overall analysis of your reasoning behind wanting to have the rhinoplasty procedure. This can include you pointing out specific parts of the nose that you do not like, or explaining the difficulty your nose has given you from a functional aspect. This can help your plastic surgeon Los Angeles patients say to understand your goals for the procedure and if they can realistically be achieved. · The nose is not proportionate to the other facial features. · The tip of the nose is bulging, or too large. · There is a visible bump on the nasal bridge. · The nostrils of the nose excessively flare. · A previous injury has unaligned the nose. The plastic surgeon needs to understand what you want your nose to look like, but at the same time educate you to realize the limitations of the procedure. By pointing out what you do not like and explaining what you would like, you and your doctor can come up with a look that is obtainable and perfect for you. On the day of your rhinoplasty consultation it is important that you are ready to discuss your medical history. It may be wise to speak with your general care physician before the consultation so that you have a full understanding of what your plastic surgeon will need to know. Some of the things that will need to be discussed are any past medical conditions and treatments that were sought out for those medical conditions, any previous surgeries you may have had on your nose and any medications that you are currently taking. It is in the best interest of your health that you are completely honest with your plastic surgeon on your complete medical history. Potential rhinoplasty patients will also undergo a painless exam of the internal structure of their nose. Measurements will also be taken of the nose and other facial features to give a thorough analysis of size in relationship to the other features. 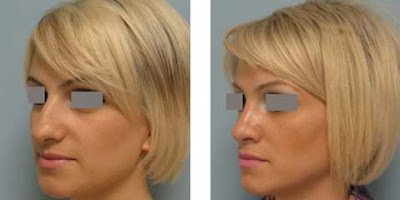 In some cases, other facial surgeries such as a chin implant or lift may be recommended to improve overall balance between all of the features. Once you have completed your rhinoplasty consultation and set a date for surgery, your doctor will set you up with a plan on how to prepare for your surgery day, as well as a plan for after care.